Thank you for your interest in midwifery and home birth. Our service provides customized midwifery care with an emphasis on natural and holistic birth options including water birth for improving health and well being during the child-bearing year. 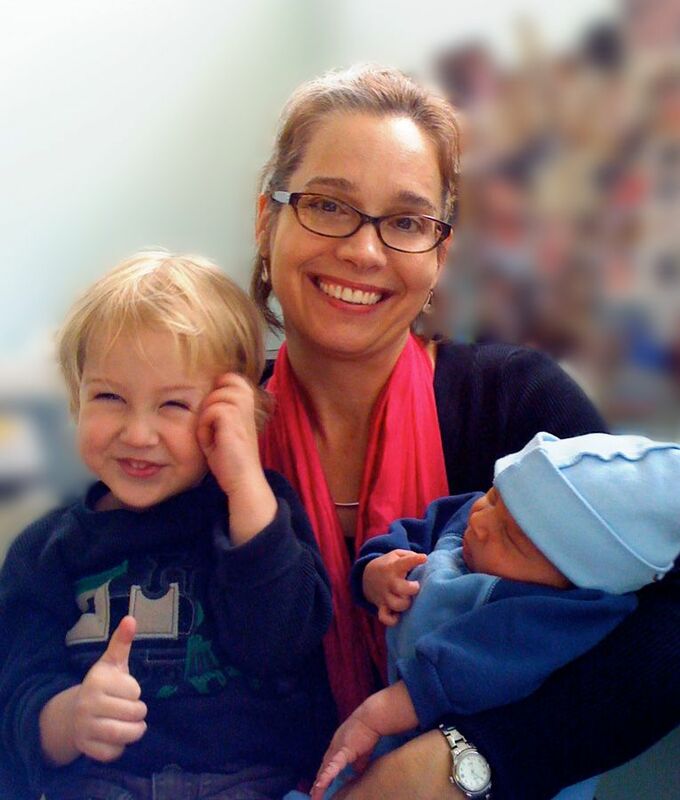 Comprehensive care with Austin midwife Patty Sprinkle includes all pre-natal visits, the birth, three postpartum home visits and a six-week checkup for mother and baby. Austin midwife Patty Sprinkle has been attending births for over 24 years and is always amazed by how unique and miraculous each birth is. She strives to provide a safe, loving, respectful environment by nurturing and supporting the natural, normal process of childbirth. Trust, mutual commitment and respect help create the best possible birth experience for her clients and their families. Patty is a registered nurse in the State of Texas and certified as a professional midwife by the National Alliance of Registered Midwives (NARM). We will schedule a payment plan that works best for you. We accept checks, money orders and secure payments with PayPal. Austin area counties served include: Travis, Hays, Williamson and Caldwell. Our comprehensive care is dedicated to supporting the normal processes of childbirth to ensure the best possible birthing outcomes for mother and baby. Austin midwife Patty Sprinkle offers in-depth pre-natal appointments and consultation with personalized attention and helpful suggestions for a healthy pregnancy. Choosing to birth at home requires education about pregnancy and birth and a committment to a healthy lifestyle with an emphasis on sound nutrition and exercise. The client has a responsibility to assume an active role in her own healthcare and the health of her baby. Custom Birth Services provides a customized birth experience that is safe and respectful, drawing on over 15 years of nursing experience and 24 years of birth experience. I can’t really express what a blessing it was and is to have your encouragement and support this whole pregnancy. With the births of Carolanne and Levi, I rejoiced in their new little beautiful lives… but I wasn’t able to share this delight with sisters or friends much. But with Jesse and Cole, I have come to realize what a tremendous + beautiful gift it is to have wonderful people around you, to share in and delight in your precious gift of a child. I laugh every time I think about your grandmother being a midwife before you knew that she was, and how you found your calling too. You have such excellence in your work, and such skill in discerning what to do to birth these little ones. That really is amazing to me. I was so grateful with little Cole, to be in the presence of a friend that I trusted, and that you were the one coaching and showing us what needed to be done next. I am grateful for your many years of experience, and your medical training, but most of all for the kindness and compassion and personal care that you give to us. That is really a beautiful gift. I hope that you and your family receive back every good thing that you need for all the ways you have given to us and enriched our lives. Patty Sprinkle made my birth experience one of the most positive and empowering experiences of my life. I had never imagined myself doing a home birth until I became pregnant. I had heard less than encouraging stories of friends and family members who chose a hospital birth and was enchanted by the idea that my body was equipped to do this and that my partner and I could be with my baby immediately after his birth. Patty is professional and compassionate and gave customized guidance to my experience, health, age and personal relations. She was there when my iron was low, but also when my mother was overbearing and not trusting any of my birthing decisions. As a result, I felt safe, educated and in control of my own birth experience. Her expertise in the stages of labor was invaluable. She was strategic and supportive and, again, as a result I was able to gauge my own pace – with her help of course – and enjoy a gradual and safe delivery. Having my baby with Patty has changed my entire impression of what birth can be – a contrast to the reflections in media that portray birth as a crisis or scream-fest for a woman. In reflection, I know without Patty I would have been overcome with fear and possibly panic before and during the birth. Her presence, professionalism and intuition during the whole pregnancy and, then, labor eliminated fear and I was reminded in many ways that I could do this – that I was made to do this as a woman and that she would be there for me each step of the way. And, even after Lucas’ birth – my first baby – she has been detailed in her help with dealing with any challenges from breastfeeding correctly to the hot Texas sun in the summer and baby care. There is a huge advantage to a midwife delivered baby and Patty Sprinkle is a great example of a midwife RN who is taking this intimate, amazing experience and making it one of safety, empowerment and beauty. Thank you, Patty will get back in touch with you ASAP!